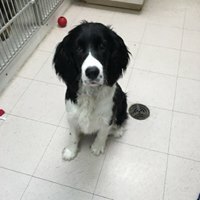 For many of our clients’ pets, Blue Mountain Veterinary is their home-away-from-home. We have extensive cat and dog boarding facilities. You’re welcome to bring along their favorite bed or blanket, toys and bowls. We can also accommodate different dietary needs, with our Royal Canin® Medi-Cal®line of food, or you may bring your own food. 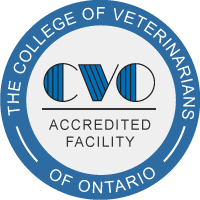 For many of our clients’ pets, Blue Mountain Veterinary is their home-away-from-home. We have extensive cat and dog boarding facilities. You’re welcome to bring along their favorite bed or blanket, toys and bowls. We can also accommodate different dietary needs, with our Royal Canin® Medi-Cal®line of food, or you may bring your own food. We walk each guest 3 times a day, and we also have outdoor runs for your furry friend to soak up as much nice weather as possible. *Please note that boarding dogs are required to be up to date on all vaccines including Bordatella (Kennel Cough). All dogs entering the boarding facilities also must be up-to-date on flea prevention (Revolution, Advantage, etc). If they are not, an application of Revolution/Advantage will be applied at an additional cost. Our cat guests have access to the Kitty Suite, which features a sunny window, large cat climber and of course, their own bed(s). It’s bright and airy and especially comforting if you are bringing more than one family cat. They can stay together and play together. *Please note that boarding cats are required to be up to date on all vaccines. All cats entering the boarding facilities also must be up-to-date on flea prevention (Revolution, Advantage, etc). If they are not, an application of Revolution/Advantage will be applied at an additional cost. BMVS is very lucky to have dedicated professional groomers on staff. 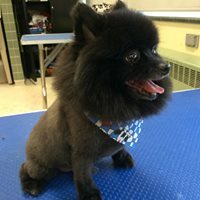 Mary Begy, Lisa Kelly and James Samis all have experience with all types of dog and cat grooming and care, and can give your pet whatever style of cut you select. 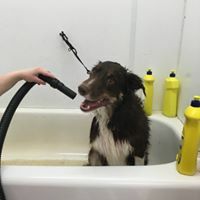 Whether it’s a first puppy cut, or a ‘rescue’ from burrs and tangles, your pet will certainly leave looking – and smelling – fresh, clean and pampered! 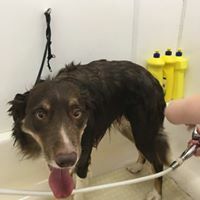 All dogs that are coming in to be groomed must be up to date on all vaccines, including bordatella.